Emily has such an eye for items with potential and quality. She and I both knew that this vintage dress had potential, it just needed some love and attention. 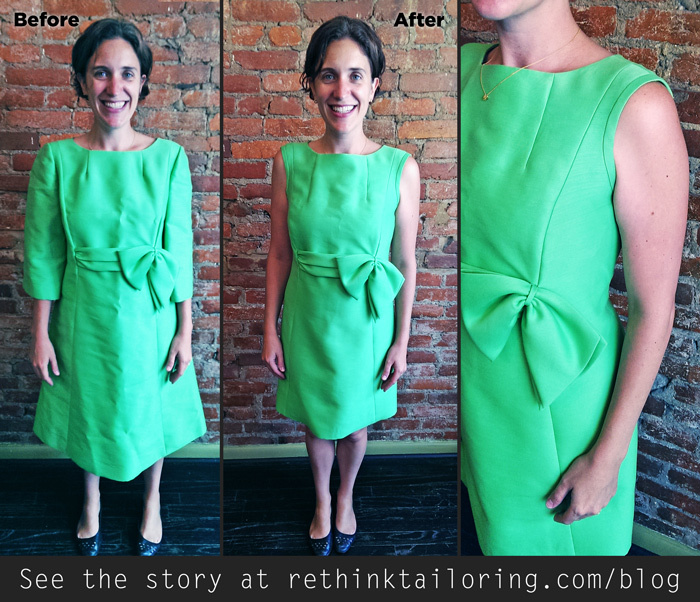 After ditching the sleeves, fitting the sides and darts, hemming the bottom, and creating a piping to finish the armholes, this dress has a easy fighting chance! 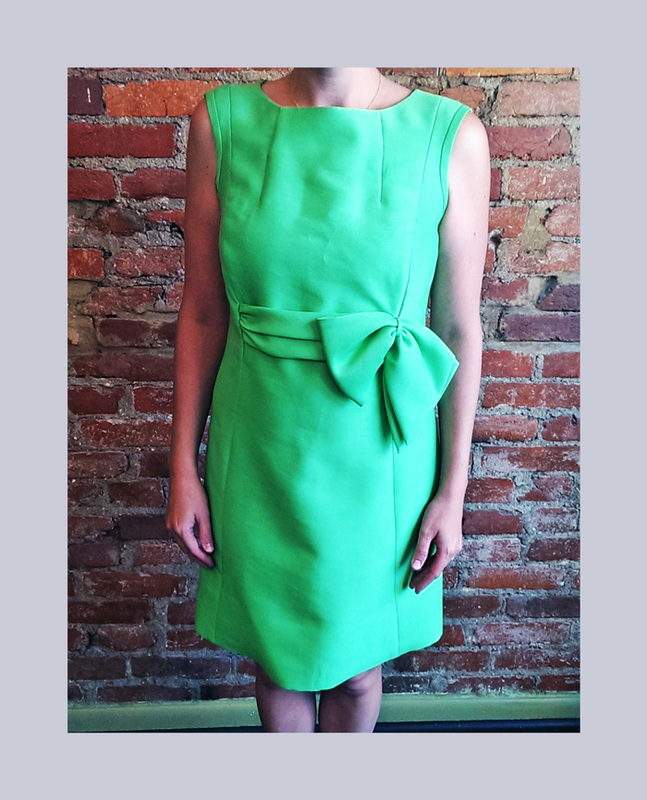 Now it’s comparable to what you could find at Kate Spade–only this one’s one-of-a-kind and eco-friendly!